The global publishing market (segment of the broad media industry and manufacturing sector) is involved in the production of magazines, newspapers and books, and encompasses general, professional and academic disciplines. The printed word is under increasing pressure from online publishing as readers turn to e-books and online resources over the print materials. Other industries in the publishing industry include mailing lists, directories, information services and journals. Books comprise almost 42% of the overall global publishing market, according to MarketLine. More than 65% of the book market is comprised of music, video and books retail. Bookstores make up around 62% of the market, with other outfits including online sellers and chain stores. The EU holds around 45% market share in the global books market. The global printed publishing industry's largest market segment is comprised of daily newspapers, representing almost 80% of the overall market in terms of value. The EU holds around 40% market share of the global newspapers market. E-reader and tablet sales continue to boost profit in the e-books market. E-book publishing makes books already in print available in digital format, and edits and designs books publishing in digital format only. Two obstacles to healthy market growth include free e-book access, and discord among publishers regarding e-book pricing. Rising disposable income will boost e-reader sales moving forward. 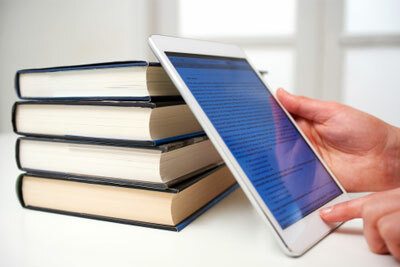 Advantages of electronic books that make this market segment a success include easy access, evolving patterns in learning behavior and research, and storage convenience. The world’s number-one publishing nation is the UK, producing 120,000 new books annually, according to the UK Publishers Association. The UK is the top exporter in the global publishing industry, and holds the biggest media and creative sectors. Between journals, books and electronic publishing, the industry is responsible for generating almost $8 billion worth of domestic economy revenue over the past seven years, expanding close to 15%. Out of the country’s creative industries, books represent the UK’s highest export turnover. The EU represents almost 42% of the overall worldwide publishing industry in terms of market share. Pearson Group is the world’s number-one publisher. Pearson’s education division is present in over 70 different countries, generating around 60% of its sales in North America. The company’s Financial Times Group is involved in producing financial news and analysis in print and online formats, and holds a 50% share of The Economist Group. Random House, Penguin, HarperCollins and Hachette are the four leading companies in the global book market. Smaller companies include Faber & Faber, Macmillan, Bloomsbury, Kogan Page and Walker Books. Specialist book publishers such as those involved in the educational, technical and academic fields include: Wiley Blackwell, Elsevier and Wolters Kluwer. Thomson Reuters and Press Association are two of the world’s leading press agencies. Major players in the newspaper market include: Telegraph, News International, Johnston Press, Guardian News and Media, Archant, DMGT, Newsquest and Trinity Mirror. Leading players on the global magazine publishing market include: BBC Worldwide, IPC Media, Future Publishing, Bauer Media and Dennis Publishing. The publishing industry will be able to take measures to boost sales in the face of the global economic downturn over the next few years, including investing in advertising. The most dynamic market growth will likely be ruled by continuing technological innovation making more diverse formats available and adapting to smartphone technology. A major problem facing the industry is the lack of control over the internet.